After a lifetime of spiritual seeking, Nirmala met his teacher, Neelam, a devotee of H.W.L. Poonja (Papaji). She convinced him that seeking wasn't necessary; and after experiencing a profound spiritual awakening in India, he began offering satsang and Nondual Spiritual Mentoring with Neelam's blessing. This tradition of spiritual wisdom has been most profoundly disseminated by Ramana Maharshi, a revered Indian saint, who was Papaji's teacher. 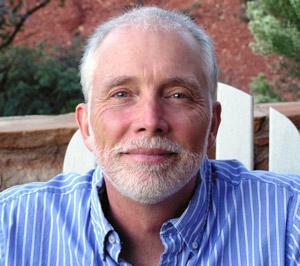 Nirmala's perspective was also profoundly expanded by his friend and teacher Adyashanti. Nirmala also recently began offering Christ Consciousness Transmissions, which are a unique and powerful aid to awakening. Nirmala lives in Sedona, Arizona with his wife, Gina Lake. Contact Nirmala by using the contact form here. Read an interview with Nirmala here. More information about Gina and her books, including Radical Happiness: A Guide to Awakening, is available on radicalhappiness.com. Nirmala is glad to be a member of and support the Association for Spiritual Integrity. 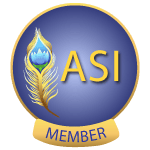 The Association for Spiritual Integrity℠ (ASI) is a voluntary, inclusive, international organization of spiritual leaders, teachers and guides, offering membership to a supportive community of peers to teachers who agree to abide by a code of good and ethical practice, and commit to their ongoing professional, personal and spiritual evolution.